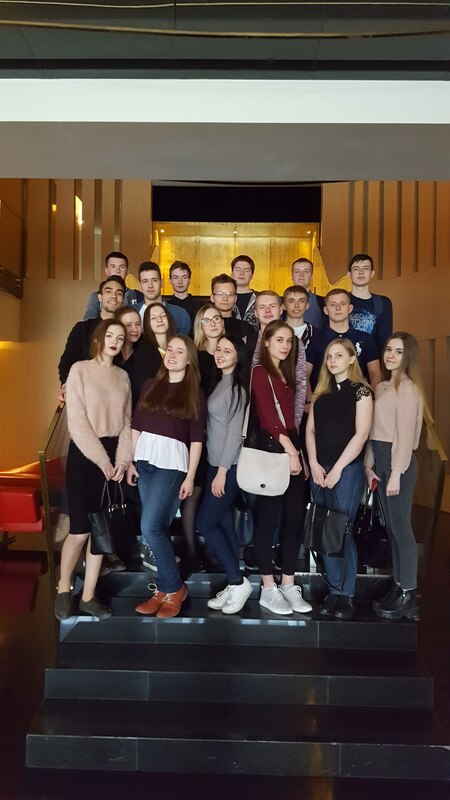 May 10, 2018, students of M-17-1, M-17-2 and RM-17-1 groups under the guidance of Tatyana Zagorulya, a senior lecturer of the Department of Management, were on excursion to the hotel Hyatt Regency Ekaterinburg. A very interesting and informative excursion was conducted by specialists of HR department Elena and Marianna. The students learned that the Regency brand's purpose is: "To create energizing experience that leads our guests to what is the most important for them." Elena and Marianna talked about the history of the hotel, about modern design solutions, and about what makes the hotel attractive for city's guests: luxury rooms, a conference center , a banquet hall, restaurants, bars, a fitness center, a spa with a swimming pool, and the main thing is the high skilled and friendly staff of the hotel. Jamilya Sangova , a student of M-17-1 group, shares her impressions: "I really enjoyed the tour. Hyatt is a chic hotel. There was an opportunity to see the hotel from the inside and see the rooms, which just admired me. Very convenient system for guests, everything is functional and prestigious. Thank you very much for this opportunity. " 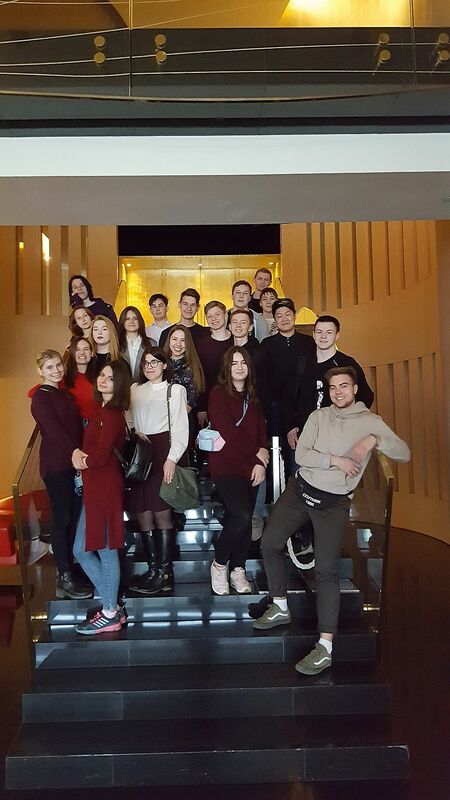 Alexander Ivanov, a student of M-17-1 group, also shared his impressions: " Hyatt is a very interesting place, which provides an excellent example of proper doing business ". Noteworthy is the element of the corporate culture of the hotel -its symbols, namely it is a kind of the hotel "mascot", the statue of the Guest. In the hands of the statue is a bunch of silvery keys, one of them must be chosen for the lock, which fits on the forehead, i.e. a hotel employee must pick up his key for each guest to “open" what is in his thoughts, in his head (desires, needs, interests). Another symbol in the logo - "an arc" - means that the hotel is ready to receive guests "from sunset to sunset". This philosophy of hospitality is the advantage of the Hyatt Hotel and, indeed, guests will wish to return here again. " 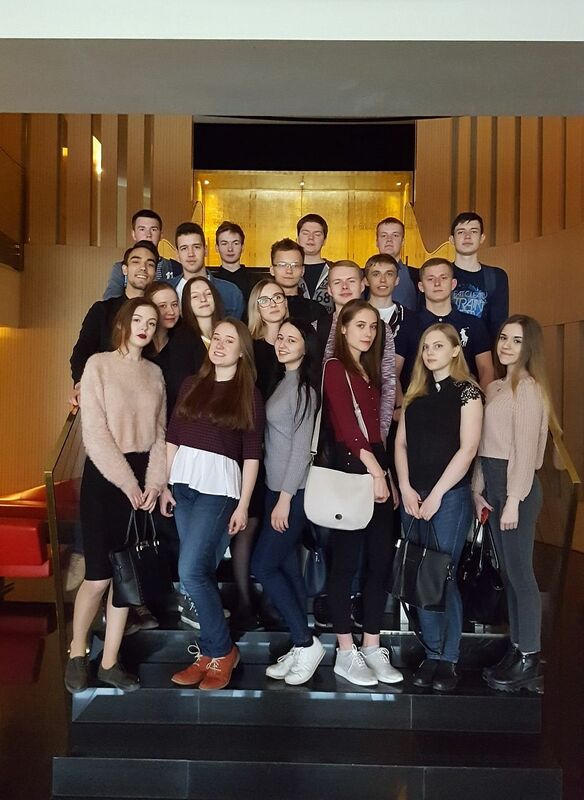 We thank the hotel management for organizing the excursion for the students of our University. They received positive emotions, and tend to develop, to become successful in their chosen profession.